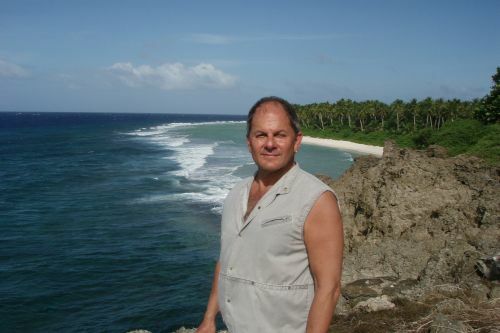 Alan Dean Foster is an American author of science fiction and fantasy novels. He is the creator of the Humanx Commonwealth universe and Spellsinger series. Foster is also known for writing novelizations and movie tie-ins for films and film series such as Star Wars, Star Trek, Alien, Transformers, The Thing and many others. Foster lives in Prescott, Arizona with his wife. Notes: Voyage of the Basset is by James C. Christensen with collaborations from Foster and Renwick St. James. Design for Great-Day was co-authored by Eric Frank Russell. Star Wars was ghostwritten by Foster, credited to Star Wars creator George Lucas. Betcha Can’t Read Just One was co-edited with Martin H. Greenberg. The Phisher was co-authored by Alex Sam. Untold Adventures: Dungeons & Dragons also contains contributions from Kevin J. Anderson, Jay Lake, Mike Resnick, Mark Sehestedt, John Shirley and Lisa Smedman. Resistance Front, Vol. 1 also includes stories by R.J. Astruc, Miles Cressman, Harlan Ellison, Keri Knutson, Laurie Laliberte, Douglas Lane, Mike Lewis, James Conroyd Martin, Dwaipayan Regmi, Richard Roberts, Bernard Schaffer, Joshua Unruh and Natasha Whearity.